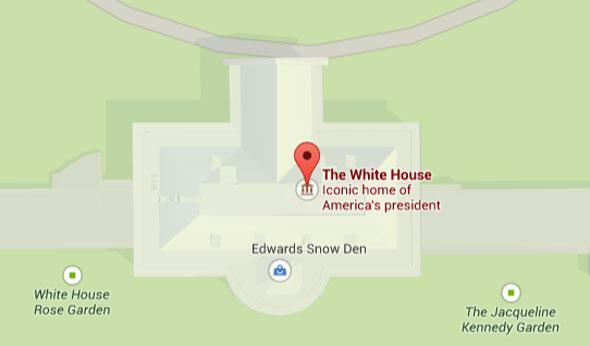 Prank puts "Edwards Snow Den" in the White house on Google Maps. These days we usually only see Edward Snowden through video chats and telepresence robots, but Google Maps says he’s in the White House at this very moment! Look, it says so right there. Google, which is clearly trying to clean things up, has already removed the location’s verification and deleted some reviews people had left. The Next Web reports that commenters had posted things like, “great source of classified information” and “top notch info on the cheap.” Google hasn’t been able to get rid of the entry on the White House itself yet. For now you can see for yourself. In other news, the controversy over a large Snowden statue in Brooklyn rages on.